The project’s main objective is to improve the use of sustainable energy by refugees and surrounding communities in the Kigoma region in Northwest Tanzania. This will further contribute to the prevention or reduction of resource conflicts between the local population of Kasulu and Kibondo districts and refugees in the Nyarugusu and Nduta camps. Improving access to quality cooking and solar energy options to these communities reduces the extremely high pressure on the limited firewood resources and contributes to improving the living conditions of these persons. • Market Based Inclusion & Integration: dedicated and coordinated response mechanisms to each group along with joint capacity building sessions will be undertaken. • Enabling Actor Energy Engagement: extend opportunity for capacity supports in training to humanitarian assistance players and government. Through mutual planning and implementation of activities, partners will be strengthened to take humanitarian assistance towards a more inclusive and sustainable market oriented approach. • Performance Based Programming & Financing Supports:market based approaches applying performance incentives (both non-monetized and financial), which animate local and commercial participants to expand their markets to until now untapped and remote regions. These in turn will offer regional residents access to new energy technologies as well as opportunities to take part in economic activities. The Technical Lead is responsible for ensuring that the field team utilizes approaches that are conducive to market and enterprise development, and are implemented to quality standards with evidenced performance results. Under the supervision of Programme Manager – Sector Leader, the Technical Lead is responsible for day-to-day field coordination, program support, project documentation and field office management working in close collaboration with Energy Sector Project Managers to achieve results. 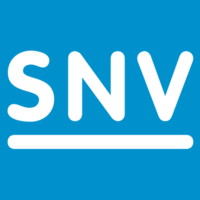 As a senior member of staff and experienced technical staff member, the Technical Project Officer is also responsible for coordinating with the Energy Sector team and for contributing to the overall quality of the SNV Tanzania Energy sector content. S/he will support the quality of technical advisory services and overall integrity of SNV Energy programmes in Tanzania and the national Energy sector. The Technical Project Officer reports directly to the Programme Manager – Sector Leader and collaborates closely with the Energy sector team. • Ensure high quality implementation of the project deliverables to the achievement of results in cooking energy technologies, (biomass) cooking fuels and off grid solar products. This will include coordinated dual delivery in refugee and host community of training and congoing coaching that supports technical skills development, entrepreneurship and awareness building. • Lead improved cook stove technical trainings with cook stove producers. • Network and Relationship building – Build and maintain effective relationships with the government and local authorities, (inter)national partners and programmes in Kigoma, external partners and the donor. • The successful candidate will be a self-motivated achiever with excellent intercultural leadership, teamwork, coaching, communication, networking and organisational skills.